Google has been tapped by one of the largest global automaker alliances, the Renault-Nissan-Mitsubishi Alliance. The companies have chosen Android OS for its next generation infotainment system. This should provide an onramp for Google Assistant integration in the car platforms even beyond Android Auto functionality. The Alliance sold a combined 10.6 million vehicles globally last year, and together sells more vehicles than any other automaker. This partnership comes as a surprise, as the automotive world has consistently avoided partnerships like this with the tech giants. Mark Boyadjis, a global technology lead for IHS Markit, said that companies have been wary about going “too far” with Google in the past, because they were unsure how the company’s business model would evolve. According to Boyadjis, Google was able to build trust in the automotive world by making Android OS freely available. Google is also a potential threat to automakers as it started a self-driving car project, Waymo, in 2009. However, this is not the first time Google has partnered with an automaker. Audi uses Google Earth for in-car navigation system, and since then, Volvo has also announced Android will power its next-generation infotainment system. What does this mean for in-car Voice Assistants? About drivers’ use of in-car infotainment systems, the Wall Street Journal noted that in J.D. Power’s initial-quality study, today’s in-car multimedia systems were ranked as the “most problematic” category for new car owners. Even Consumer Reports magazine now tracks the most and least distracting systems. Android Auto integrated Google Assistant in January of this year, and in recent years many automakers have been either developing their own voice assistant or have partnered with a tech giant to integrate third-party voice assistants. 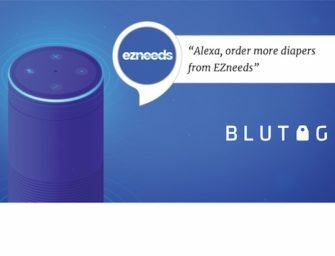 For example, BMW has integrated both Cortana and Alexa, and Audi just announced integration of Amazon Alexa into a new electric vehicle model. It is unclear how similar the products developed for The Alliance will be to Android Auto.